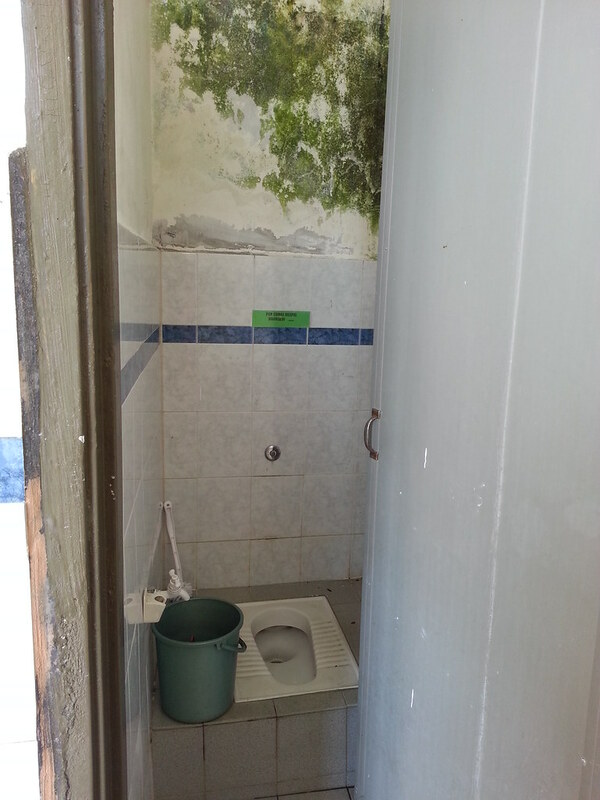 A toilet in a nearby kampung( village). No bum gun. Just a shared bucket. 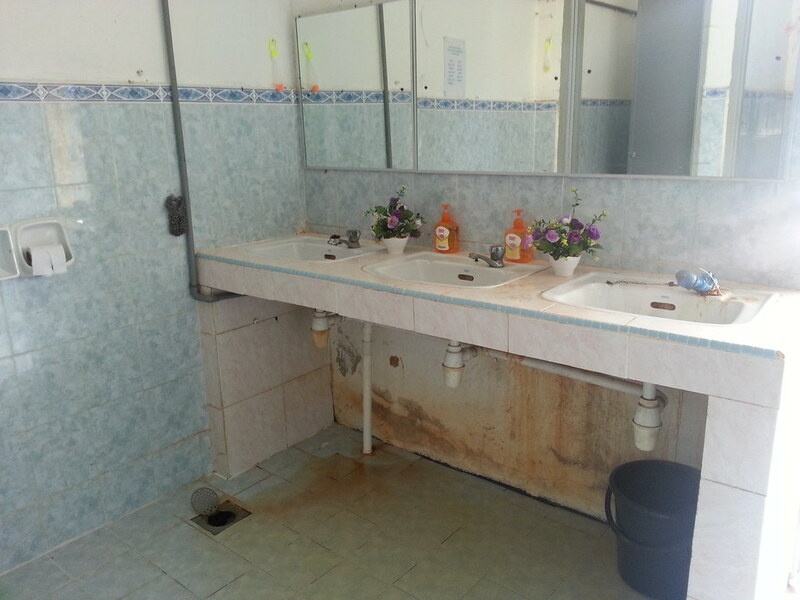 This is the bathroom Vaughan had to use at a students home for a year. 1. You’ll always leave the toilet with wet feet. 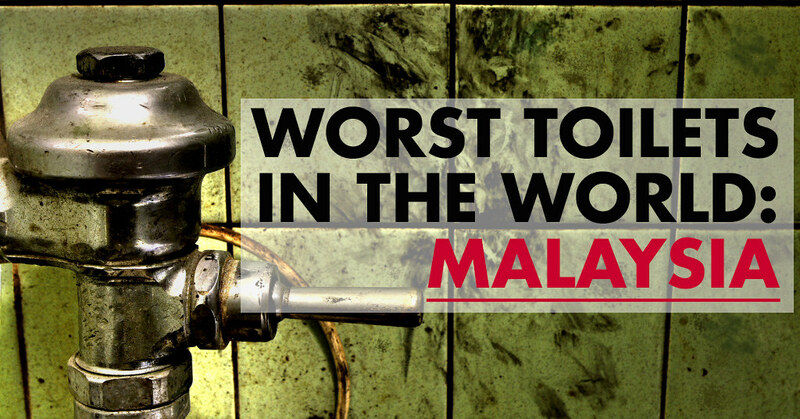 There really is no reason in God’s green earth why your feet should get wet in a public toilet stall, but in Malaysia this is almost unavoidable. I have never entered a toilet stall that doesn’t look like it’s been showered in. What I affectionately dubbed the ‘bum gun’ is the water hose responsible for this. 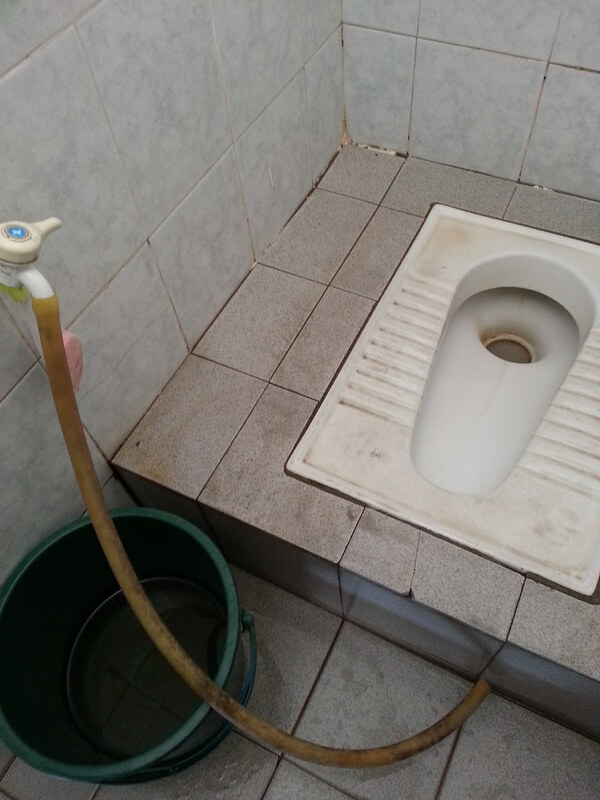 It is custom in many countries to use this hose instead of toilet paper to clean your unmentionable bits. Which is fine, but that doesn’t mean I want to walk or dip my toes into the water you’ve just cleaned yourself with. Gross. 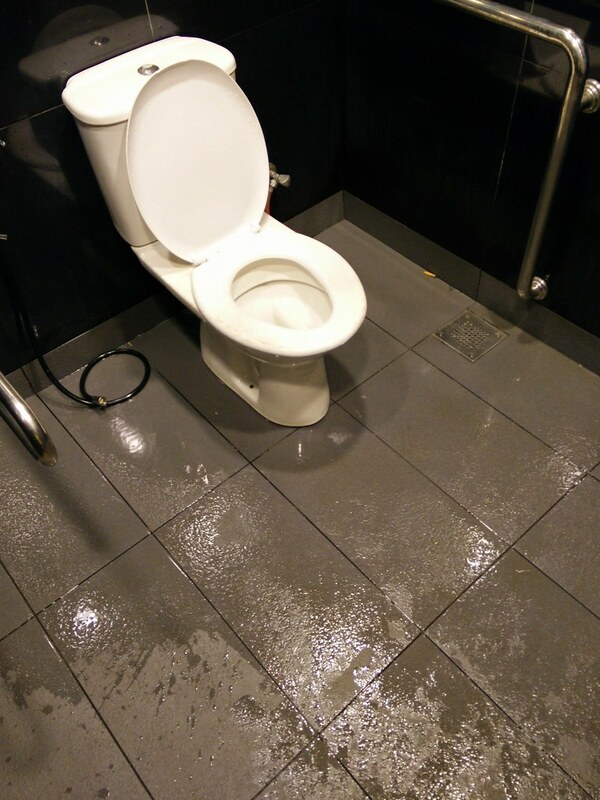 A typical shopping mall toilet. McDonalds. The water is coming from the toilet next door! Water in the general hand washing area. 2. Shoe marks on the toilet bowl. 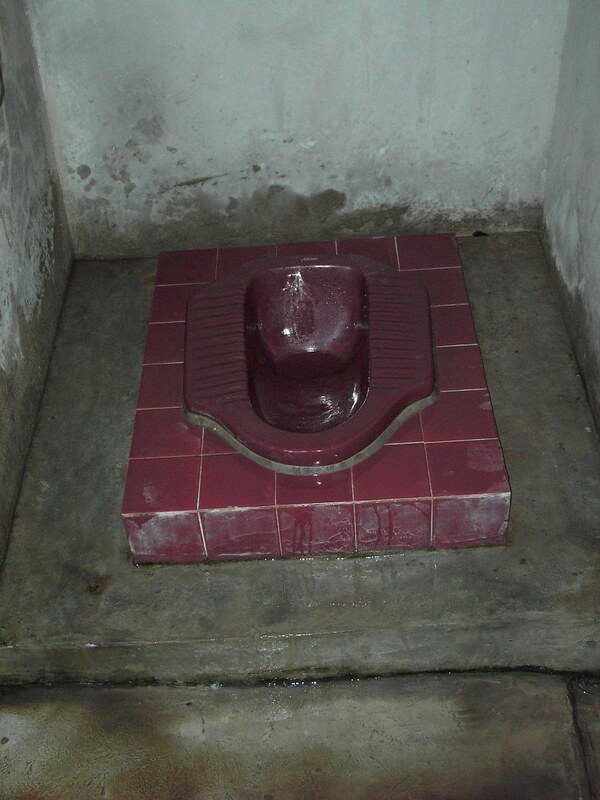 For every 5 squatter toilets in a shopping mall bathroom, there is 1 “sit-down” toilet bowl. Once you see the shoe scuffs and marks left behind on the toilet seat, you will go running to find a squatter. 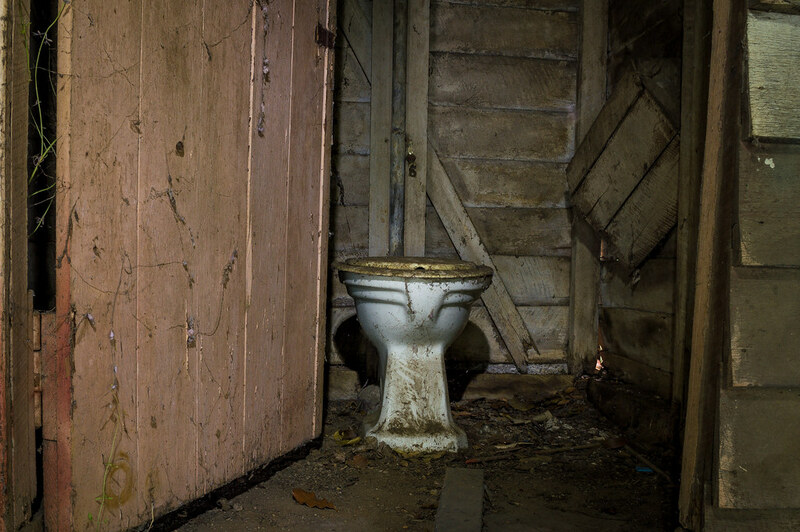 A friend of mine from the Middle East explained that he grew up only ever seeing squatter style loo’s so once he saw a western toilet bowl as a child, he continued to squat up onto it ( an incredible feat I imagine). But you must be joking if you think I’ll sit on the same spot where you’ve just put your dirty shoes. And worst yet, when squatting that it’s common make certain…erm…“errors in judgement” and those errors usually land up on the back of the toilet seat *runs screaming for the hills*. Thankfully they are educating the people about the dangers. 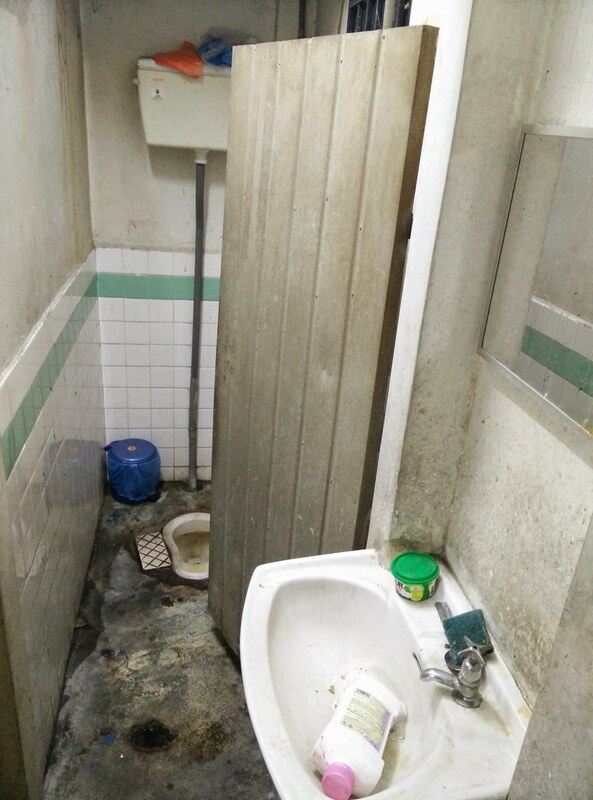 There is no photo in the world that can accurately convey the smell of Malaysian bathrooms (which we have endured here nearly everyday) and living in rural Malaysia only makes matters worse, but not even top end malls in the big cities are free of these disturbing smells. Sure, it’s a toilet so we can assume it should smell bad. But there are limits! In our home of Cape Town, South Africa most toilets have all unwanted scents masked by fragrant air fresheners or germ-killing cleaning detergents, here that doesn’t seem to be the case. The fact that so much wee-enhanced water stagnates on the floor, (and some squatters are literally just long-drops) means that the smell just wafts around, doesn’t help matters. 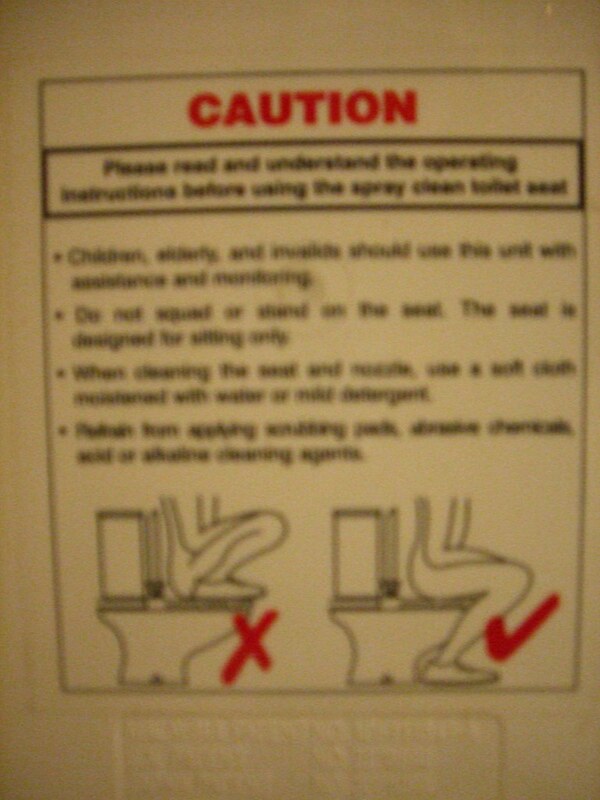 Nor does the fact that everyone seems to smoke while in the loo too (again, extremely impressive!) The smoke hangs thick in air and the scent sort of sticks to you. Vaughan says it smells like prison toilets. I really would prefer a hole in the ground beneath a tree. 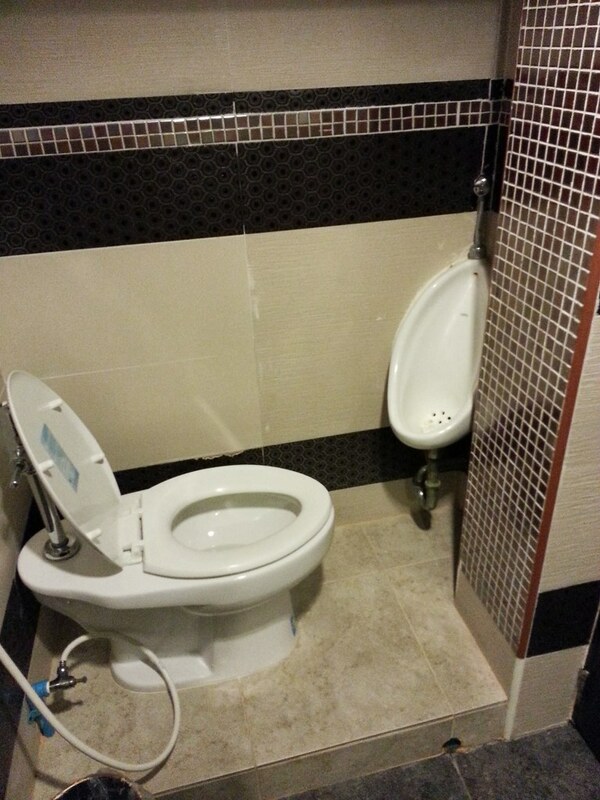 Afraid to lift the lid? 4. You may have to pay. 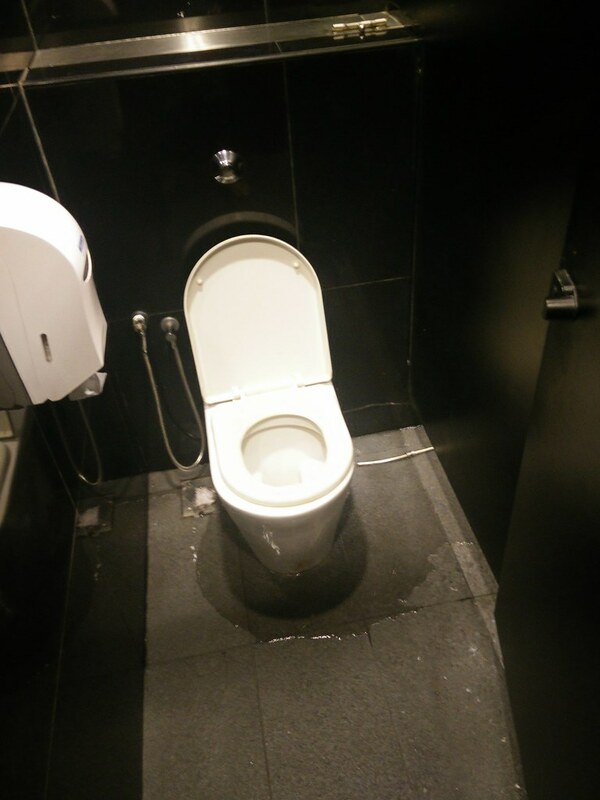 I came to close to tears of joy when I first entered a toilet in Vietnam (after living in Malaysia for a year) which had clean, dry floors, toilet paper and an air freshener – who knew these things could provide such unadulterated joy!? 5. You have to have the equilibrium of a Kung Fu Master. Even before I was pregnant visiting a squatter here was a precarious business. If it’s not the wet floors and slippery porcelain foot holds that are trying to kill you, it’s my clothes which I’m trying to save from being drenched in said water! Usually I’m clutching my bag under one armpit, holding my tissues in my one hand and hiking up my pants in another whilst perching astride the hole-of-death on my tip-toes. Vaughan, who is bigger than me and has less balance, admits that to avoid getting his clothes soaked he has to get almost completely naked and then if there’s no hook on the door, he has to hold everything was balancing! No place to hang or put anything. This is for the experts. This one always makes me laugh. Two guys simply cannot fit in there. The “bum gun.” How would you feel about sharing this with others? When there’s no “bum gun” you’ll have to make do with the bucket. The water goes down and the smell comes up. Lovely. 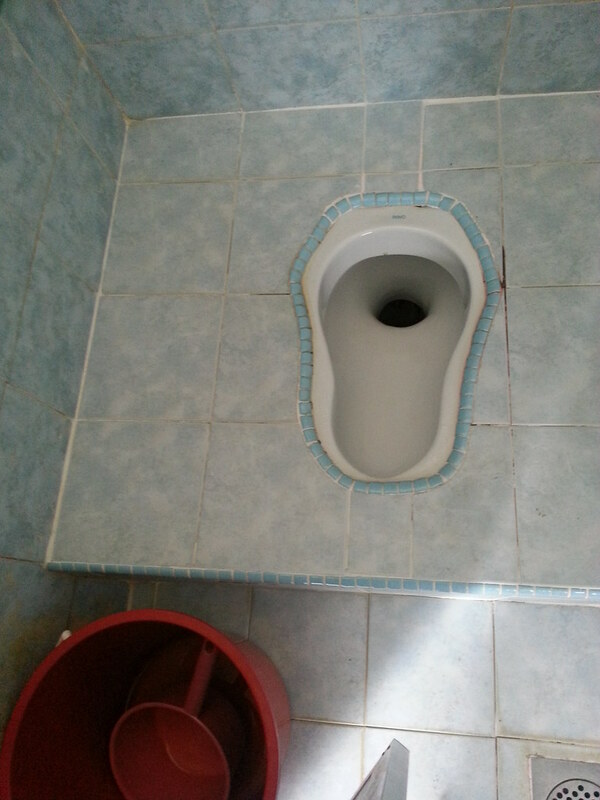 Yes, we will miss many things about Malaysia (like these things) but the toilets are not one of them! 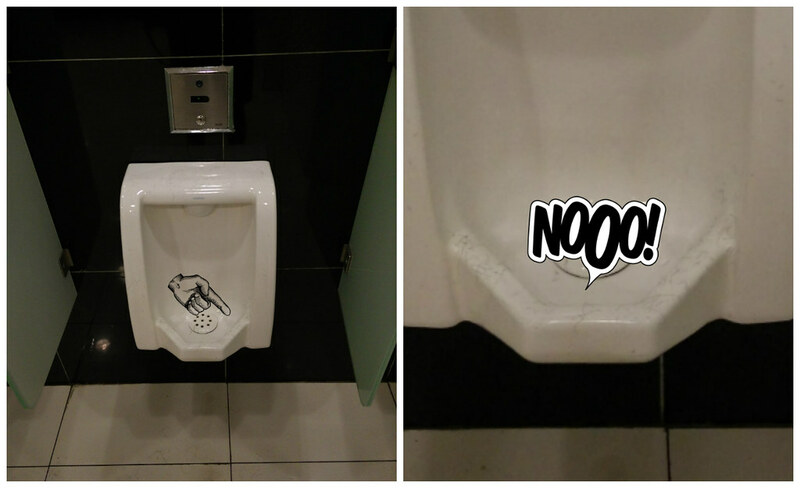 South Africa, we miss your toilets! 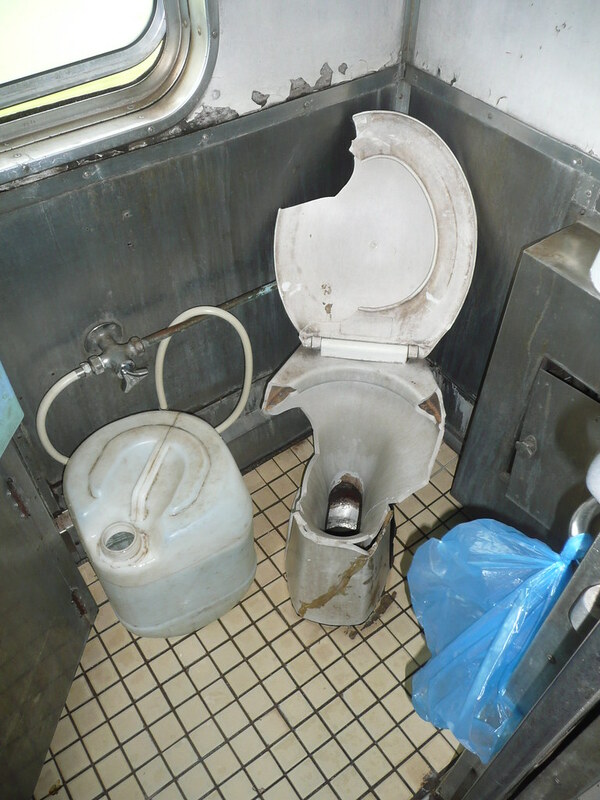 Have you experienced shocking toilets like this here or anywhere else in the world? 2) we are not the first to raise this issue a simply google search for “malaysian toilets“ will reveal that even The Star has written about it.